Google is pushing forward with Allo despite the general malaise that surrounds the latest effort at a messenger from the search giant. 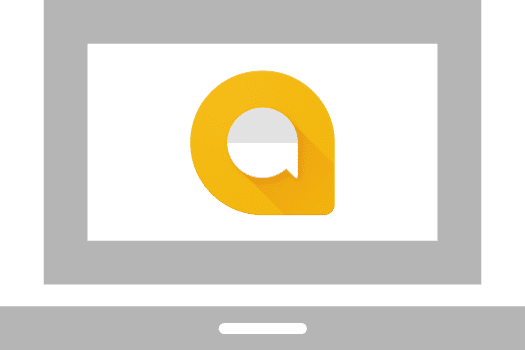 As we’ve discussed before, we like Allo just fine around here, but it feels half-baked at this point with a few very key features missing. At least one of those ailments is about to be remedied. According to a find by 9to5google, the basic pieces of a syncing mechanism for the desktop version of Allo is already in place. Take a look at what they were able to coax out of the latest 9.0 update below. Keep in mind, these are early, function-over-form screens for now. It may not look anything like this when it launches. From the looks of the interface, we can deduce that linking to the desktop client will be quite similar to the way WhatsApp does it. Using a text code and/or a QR scan, you can sync up to a desktop interface while still maintaining the ease of setup in the phone app using just a phone number. As a messenger, Allo is actually pretty good. Lots of little features and fun things to do with friends and family. Additionally, it is cross-platform, so anyone can use it. The issue up until now has been the lack of a few big features to get the existing Google user base on board. One of those is desktop support. For me, it is the largest issue. I spend most of my day in front of a big screen, so not having an option to reply to messages on my Chroembook is simply a non-starter. I’m glad to see this being worked on. Multi-device support will also need to come. If I have a phone, tablet and a Chromebook, I need to be able to send and receive messages across all those devices with ease. Hopefully additional device registration will come along right with the desktop/web client abilities. Text/RCS support is definitely on many people’s minds. I’ll admit, I don’t care about it. The hoops that have to be jumped through to get this working across multiple devices properly aren’t really worth it. That’s my opinion and others surely have reasons to disagree, and that is fine. We all have differing use-cases for this stuff. What I’ve seen thus far indicates Google has no intention of bringing SMS/MMS support to Allo, but they are working on RCS (the successor to SMS/MMS is all the carriers get on board) support from what I’ve seen online. Google seems hell-bent on developing and supporting Allo, though, so I’d only expect to continue seeing updates and features show up on a regular basis. The news of a desktop experience is sorely overdue, but welcome. Hopefully Google is looking at the long play and eventually Allo grows into a great messaging platform.